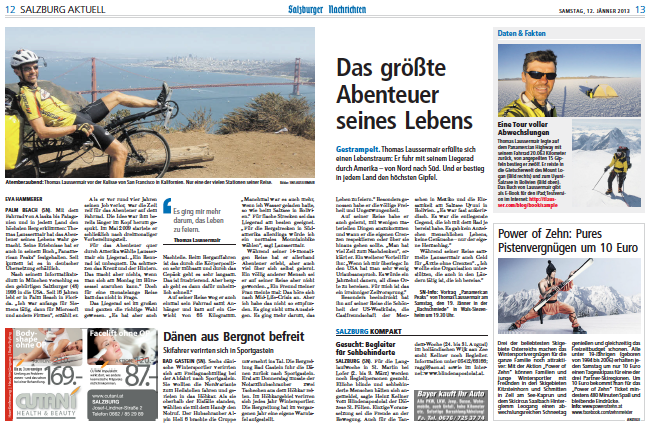 Even during the trip I have been approached by curious reporters who wanted to write about my adventure journey. One of the earliest such interviews happened when I arrived in Guatemala City and was conducted on location, in Spanish, with the camera crew filming another mock arrival scene. 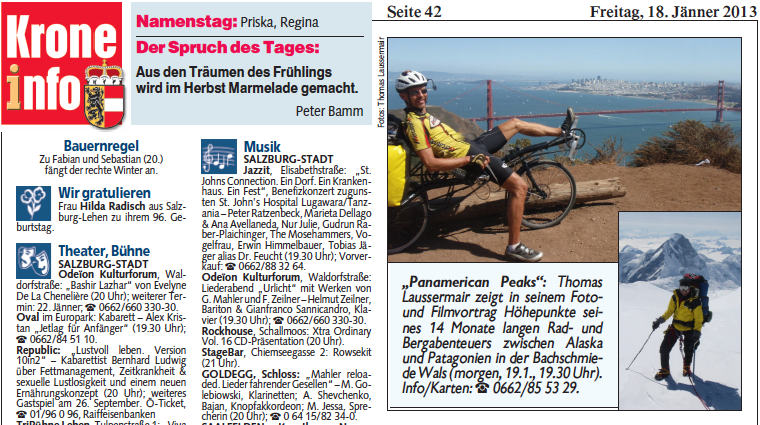 Salzburger Nachrichten, Jan 2013, printed article and online.